We are surrounded by gadgets like smartphones, laptops, tablets, smart televisions, gaming consoles which make the need of a high-speed Wifi connectivity a necessity. A high-speed internet connection is only possible with a top Wifi router. But finding such a good Wifi router isn’t an easy job. On top of it, with so many options to choose from, it’s easy to be intimidated by all the technical jargon and specifications. In all likelihood, you just want to know which router is best for your Wifi needs and need a little help in choosing one. To solve your problem, I have created a list of 13 best Wifi routers in India that are suitable for various budgets and circumstances. The Netgear WNR614 N300 is a pocket-friendly wireless router with external antennas that offer downloading speed upto 300mb/sec along with smooth streaming and net surfing. It comes with 802.11n wireless standard which stay upto the current industry standard. In short Netgear WNR614 N300 Wifi router is a combination of impressive features at a reasonable cost. This router does not include modem and works well with cable broadbands. 2 external antennas improves the Wifi coverage. Installation and management of router is easy with installation guide. This router provides double firewall protection( SPI & NAT firewall). 4 LAN & 1 WAN portal. No power and WiFi on/off switch. Best For: Netgear WNR614 N300 is an out of box wifi router that provides strong connectivity throughout your home. This is the best option for the people who are looking for a Wifi router for small to medium homes. TP-Link TL-WR720N 150Mbps comes at a very reasonable price. Due to this, it becomes a good option for home users who don’t require very high speed internet. Even though it is low-priced, this router carries some interesting features like 4 different SSIDs, A SSID is a name that you see in-network tabs when you connect to a wifi station. Having 4 SSIDs means that you can set four different passwords. Along with this, you can also set the maximum usage limit for a certain user or IP. 150Mbps wireless transmission rate ideal for Internet surfing, e-mail and online chat. This router does not include a modem and works well with cable broadbands. This facilitates up to 4 additional SSIDs (Service Set Identifier). It’s uniquely designed for users to set up additional wireless networks with additional SSIDs and Passwords for guests or friends. 2 LAN ports and 1 WAN port. 1 external antenna for moderate range. Live parental controls allow parents or administrators to establish restricted access for children. It doesn’t support large number of connections at a single time. Wireless transmission rate is not very impressive. Not good for gaming enthusiasts. Best For: Users who are looking for moderate performance Wifi router at a cheap rate. TP-Link TL-WR740N 150Mbps has almost the same features as of the TP-Link TL-WR720N version. The only feature this version has missed is of not having 4 additional SSIDs, which in my opinion doesn’t make any big impact. Go for this if you are going to use it at home or for a small business setup. It allows the IP based bandwidth control to determine how much bandwidth is allotted to each PC. 4 LAN ports and 1 WAN port. No SSIDs set up facility. Best For: 1 External antenna provides moderate Wifi coverage which is sufficient to fulfill the needs of small to medium homes. The DIR-816 Wireless AC750 Dual Band Router is an economical yet powerful wireless networking solution. It uses the latest technology 802.11ac to deliver high-speed wireless connectivity. Along with that, being a dual-band router D-link allows you to operate 2 concurrent high-speed WiFi bands for ultimate wireless performance. It uses the latest wifi standard 802.11ac. It provides the WPS/Reset button, power switch for user convenience. This router comes with dual bands. One band is of 2.4 GHz frequency for WLAN/WPS power and other is of 5 GHz for WLAN, Internet. Supports Internet Explorer 7, Firefox 12.0, Chrome 20.0, Safari 4.0 or Other Java-enabled Browser. Four 10/100 fast ethernet LAN ports give high-speed wired connectivity. Not compatible with Google chromecast. Despite 3 external antennas, the signal strength is comparatively less. Best For: The D-Link DIR-816 Wireless AC750 Dual Band Router is a high-performance device that brings the lightning-fast Internet to your home. As it cannot cover a very wide range, this is an option best suited for big homes or small business. D-Link DSL-2750U Wireless N ADSL2 is a wireless router with Modem which makes it compatible to work with the telephone line ISPs. This router provides excellent coverage range along with scope for fast internet speed connection. It allows the user to connect both wired and wireless networks. It supports high wireless connectivity up to 300mbps. Fast internet transmission of up to 24 Mbps downstream, 1 Mbps upstream. It has 2 MIMO external antenna which provides a wide range of Wifi coverage. The router also supports 64/128 bit WEP, WPA, WPA2 and WPS wireless encryption to keep your network traffic secure. Wireless ON and OFF button is also included for user convenience. Maximum wifi connections limited upto 10. Not useful for a large group of users. Best For: Small businesses and Home office network. 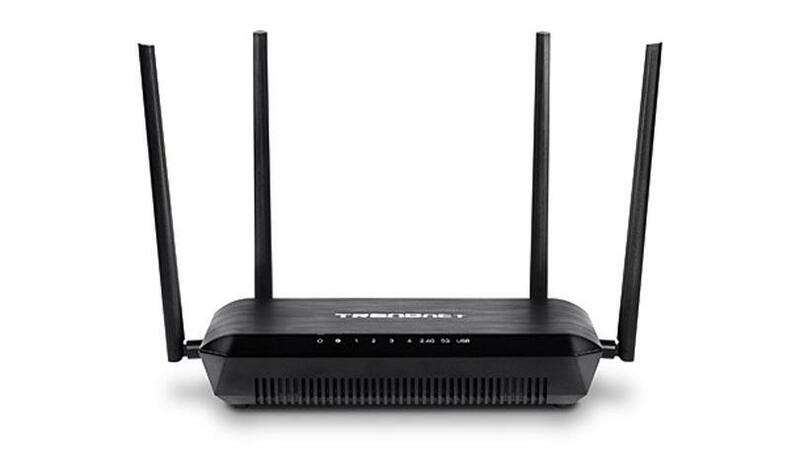 TP-LINK TL-WR940N 450Mbps is a triple antenna WiFi router which works perfectly for larger areas. It comes with the 802.11n technology and high connectivity speed upto 450 mbps. If you are looking for a better TP-Link WiFi router other than upper mentioned 2 TP-Link routers (TL-WR720N & TL-WR740N), then this is the best option for you. It offers a high wireless connectivity speed upto 450mbps. It has WPA/WPA2 encryption standards that ensure your wireless connection is safe from intruders. 802.11n standard router, with MIMO technology, gives you 15x the speed and 5x the range of conventional as compared to the 802.11g products for wireless networks. IP based bandwidth control allows you to determine how much bandwidth is allotted to each PC or IP address. 3 External Antenna for wider range coverage. It’s price is little higher as compared to other TP-LINK WiFi routers. Best For: Provides a comparatively wider range along with high connectivity speed which is best suited for Big Homes or Offices. D-Link Dir-600M Broadband Wireless Router is a small and portable wifi router. It is a good option for home users. The data connectivity speed of this router is 150 mbps which is not very impressive but sufficient for the home users which comes at a very cheap cost. Four 10/100 LAN ports to connect wired devices for high-speed online activities. Latest Wireless N technology for increased speed, range, and reliability when using mobile devices. WPA/WPA2 encryption to secure your wireless traffic. It has in-built internal antennas along with one external antenna which increases the coverage areas. Only 4 devices can connect at a single time. Best For: It is well suited for small houses and apartments. TP-LINK WiFi router TL-WR841N makes place in this list of 13 best WiFi routers in India. This provides internet speed upto 300mbps which is sufficient to fulfil the moderate WiFi requirement. This router has WPA/WPA2 encryption standards that ensure your wireless connection is safe from intruders. 300Mbps wireless speed ideal for interruption sensitive applications like HD video streaming. Web interface makes it difficult to distinguish connected computers. Best For Modest WiFi requirement for small homes or apartment. Cisco Linksys e900 wireless router lets you share data and browse the internet at a speed up to 300 Mbps and offers you a superfast surfing experience. The router is built with a range of 802.11n technology that ensures superior performance and a reliable range built with MIMO antenna technology. 802.11n wireless standard which provides a good range for homes. Four ethernet ports to connect wired devices to the network. Features MIMO antenna technology to boost WiFi signal strength. This router provides double firewall protection (SPI & NAT firewall). Provides no option for URL blocking. Its price is on the higher side. Best For: Small to medium houses. Netgear AC3200 Nighthawk X6 Tri-Band WiFi Router is one of the best WiFi routers in India. it delivers the fastest WiFi speed up to 3.2Gbps that let you experience flawless wireless networking. 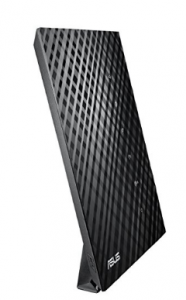 If you thought three or four antennas would help boost 802.11ac wireless networking performance, Netgear’s Nighthawk X6 AC3200 router has six and makes the most of them with excellent range. 3.2Gbps—The fastest combined WiFi speed for uninterrupted streaming. Tri-Band Gigabit WiFi Up to 600 + 1300 + 1300Mbps at Gigabit speeds. 1.0 GHz Dual core processor with 3 offload processors. Six high-performance external antennas to cover farthest distances. WiFi and Power on/off button for convenient power savings. 2 USB ports – 1 USB 2.0 and USB 3.0. USB 3.0 Port Superspeed Up to 10x faster than USB 2.0. Website filtering for all your connected devices for parental control. The Price might be an issue for some. Has a buggy 2.4GHz band. Best For With such amazing features, great connectivity, and powerful performance, the Netgear AC3200 Nighthawk X6 is the best wireless router for Office and Businesses that connect to almost 40 to 50 users at the same time. Asus N600 RT N56U Wireless router is a true dual band router with extensive features and range. It’s more like an advanced router which comes with advance features like wireless printing, scanning, and file sharing via the comfort of standardized USB. This is a good option for you if you want to setup a network with storage, printer, streaming etc. Not much beneficial for the user who is looking for a wireless router with basic features. Double your wireless performance and bandwidth with simultaneous 2.4GHz and 5GHz bands. 3 internal antennas are inbuilt to provide the best stable wireless signal to users. This is the most expensive WiFi router in this list. Frequent reboot to keep internet access working. The wireless connectivity speed is only 300mbps which is very less at such a high price. Best For: This provides powerful 5GHz performance along with it gives a long range which is best suited for business or office use. Netgear WGR614 Wireless-N150 Router is an expensive product as compared to other WiFi routers. Even the features are not very impressive. The maximum wireless speed is 150mbps which doesn’t justify its prices. Range best suited for small to medium houses. Denial of Service (DoS) attack prevention and double Firewall. Best For: Its features doesn’t justify its price. Due to this reason, this is not a good option for anyone. The Linksys RV042 Router is an ideal choice for those who prefer high speed net connectivity with reliable performance. It has the load balancing router that lets you connect to two different service providers at the same time. Router provides business-class security features with optional cloud-based web filtering which further safeguard the network. It has 4 fast Ethernet switch built-in ports (LAN). 2 fast Ethernet WAN Ports. No external antenna which reduce the coverage range. Least wifi connectivity rate @ 100mbps. Best For: The Linksys RV042 is a highly secure and reliable connectivity device for Small Business Networks that provides smooth performance and seamless browsing experience. If you are still confused after reading all the information on the best Wifi routers in India, then I can help you find the best one based on your needs. If you are looking for an economical wifi router for home usage, go for Netgear WNR614 N300 WiFi Router. For small business place or office, I would prefer D-Link DIR-816 Wireless AC750 Dual Band Router. For wider range especially for office use, the best wifi router is Netgear AC3200 Nighthawk X6 Tri-Band WiFi Router. you write. The sector hopes forr mor passionate writers such as you who are not afraid to ssay how they believe.